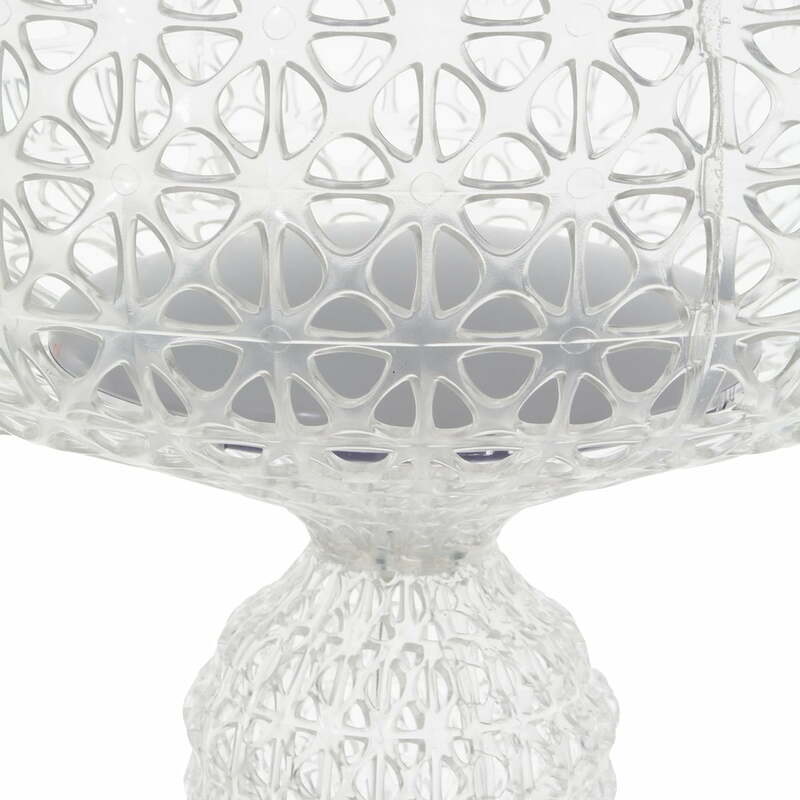 Kabuki by Kartell belongs to the light series designed by Pietro Ferruccio Laviani and impresses with its baroque design. The Kabuki LED floor lamp was inspired by the expansive and detailed decor of the Japanese Kabuki Theater. It is made of thermoplastic material and is therefore also suitable for outdoor use. 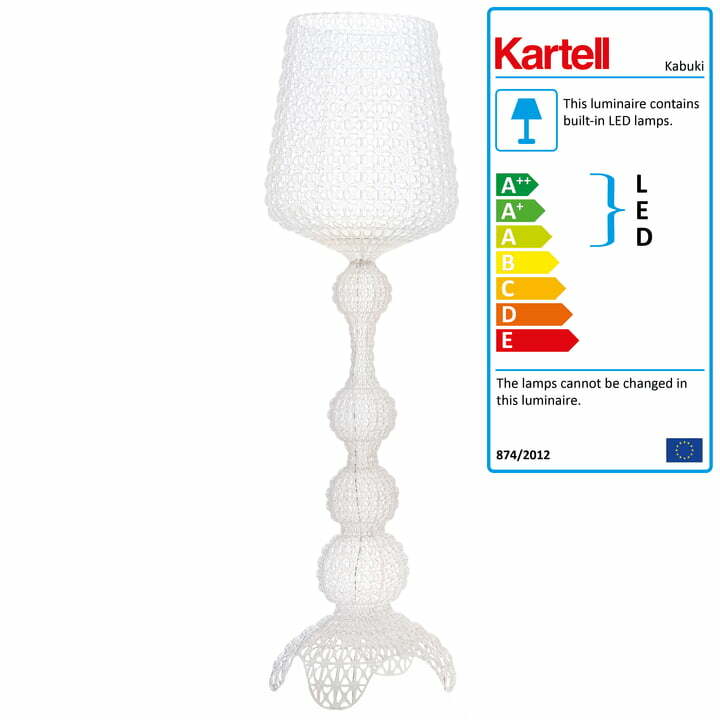 Individual image of the Kabuki LED standard lamp from Kartell in crystal clear. 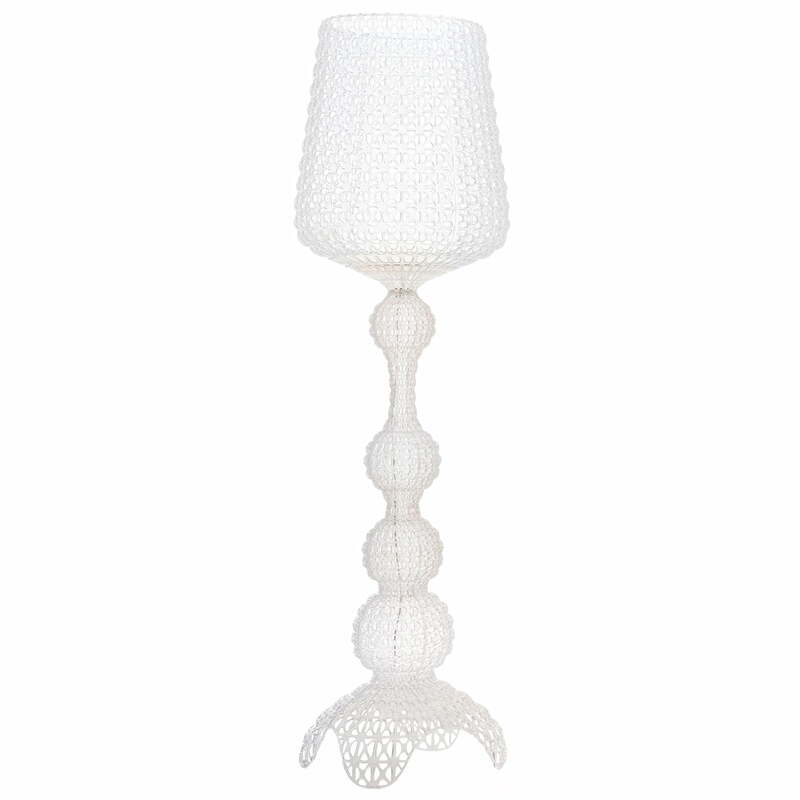 The lamp in the neo-Baroque style is made from spun-dyed and moulded plastic. 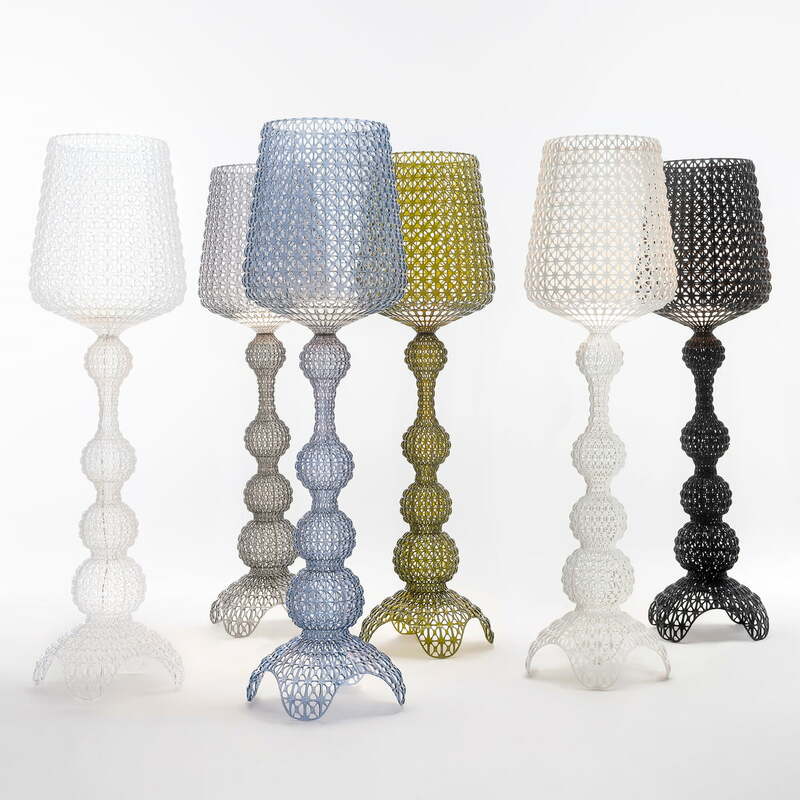 The Kabuki LED floor lamp by Pietro Ferruccio Laviani for Kartell out of thermoplastic techno-polymers is available in crystal clear, transparent or coloured versions in various colours.